MOCK SERIES FOR SAT. REGISTER NOW!!! Join now for upcoming SAT/ACT Batches! SUBJECT SAT Groups on Weekends! Upgraded Executive Assessment Test Material! Think Ahead and Be A Scorer! Kick Start your Career Planning with Option. Discover Real Value for Money! Facility for Trial Classes on Request!! LNAT Free Trial Session - Call us +971 509267126. The Law National Aptitude Test (LNAT) is an online test which is required as part of the application process if you are applying for Law degrees. 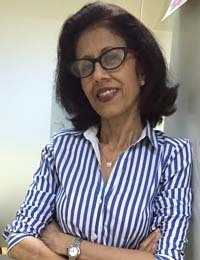 The LNAT is operated by LNAT Consortium Ltd in partnership with Pearson VUE, the computer-based testing business of international media company Pearson Education. The test is professionally written and calibrated by Edexcel for Pearson VUE. The examination aids some universities to determine whether you are an apt aspirant for undergraduate studies in law. It is not a test that assesses legal awareness, but a test intended to test your general comprehension and reasoning skills, both of which are important for the study and practice of law. Presently, there are 11 Universities that demand the LNAT which are associated with the LNAT consortium. They are : University of Bristol, Durham University, University of Glasgow, Kings College London (KCL), The London School of Economics (LSE), University of Nottingham, University of Oxford, SOAS University of London, UCL Faculty of Laws, Singapore University of Social Sciences (SUSS). In addition, some universities that are not part of the LNAT Consortium also require the LNAT exam for admission into their university law schools- National University of Ireland Maynooth & IE University Spain, to name a few. You will be provided with 12 passages with 3-4 multiple choice questions per section (42 MCQs in total ) which is designed to test your ability to comprehend textual content. Multiple choice questions forms the basis of your score, and you will be awarded 1 mark per correct response. So, the maximum score which you can score in this section is 42. In this section you must opt one out of the three essay questions (Debatable topics). Here, you have to create a logical, articulate, decisive and convincing argument around the topic which you choose. However, this part of the test is not linked to your overall score. It is highly recommended that you do not write more than the maximum permissible word count of 700 words. So, around 500-600 words would be ideal for your essay. Your total LNAT score is calculated from Section A of the LNAT based on the MCQs which implies that your final score is out of 42. It is good to know that the essay does not contribute to this score, and is instead sent directly to the university to demonstrate your ability to produce a concrete and compelling argument. This score and essay in conjunction with your A-level (or equivalent) results and your UCAS application are considered by the university in your application process. Before you can sit the test, you must register on the LNAT website and book a slot at a test center near you. The test centers are available nationwide. The earlier you book, the more likely you are to get the date and center you want. Option Training institute, Knowledge Village, Dubai gives you intensive practice on MCQs and essays so as to familiarize you with what to expect in the real exam and thus to enable you to practice the strategies that you need to employ to reach your target scores. Training for the LNAT at Option is always in private classes since the objective of the exercise is primarily to afford an enriching experience to each student by providing him personalized and very effective training. 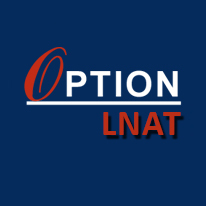 Preparation packages available at Option Institute Dubai for LNAT test training.